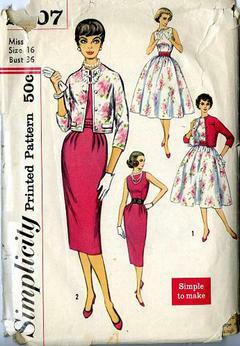 1958 Simplicity #2407 vintage sewing pattern, misses' dress with slim or full skirt, short jacket and belt, plus size 16. Simple-to-make sleeveless dresses, feature bateau necklines. 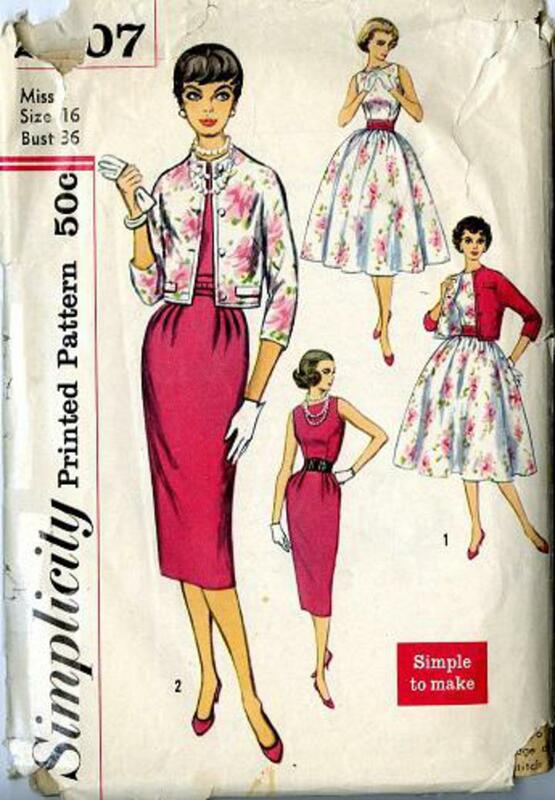 V. 1 has full gathered skirt. V. 2 sheath has back kick-pleat and soft pleats at sides of front waistline. Jacket has 3/4 kimono sleeves and flap trim. V. 1 dress and jacket facing may be of one fabric.